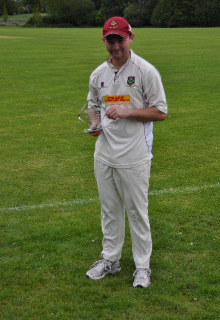 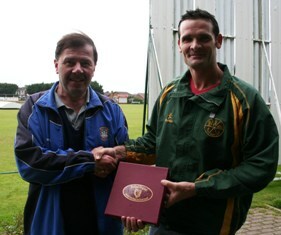 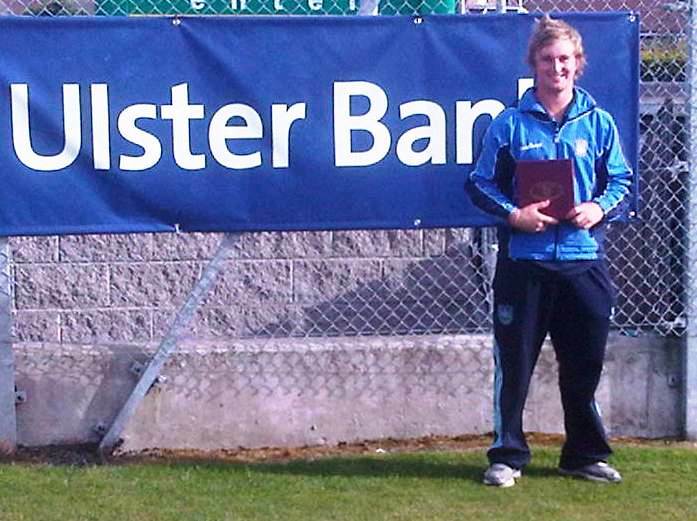 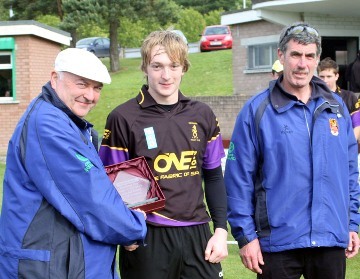 Shaun Fitzgibbon who was Man of the Match for Cliftonville in their Ulster Bank Challenge Cup win over Saintfield. 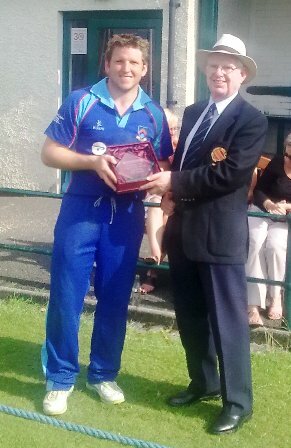 Craig Lewis from Derriaghy receives his Man of the Match award from Gordon Scott after their Ulster Bank Challenge Cup win over Dundrum. 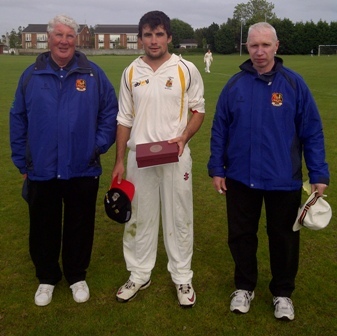 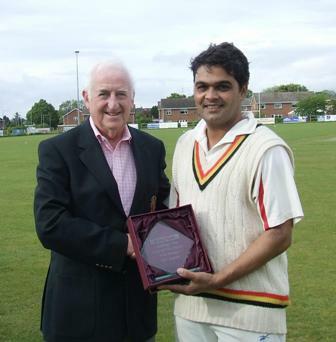 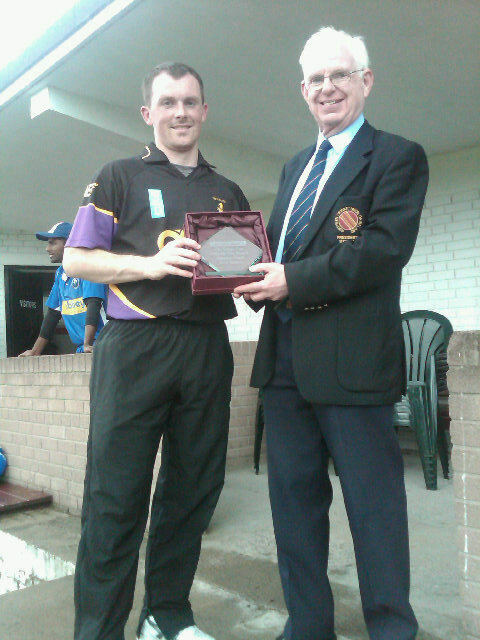 Former NCU Chairman Billy Boyd presents Niranjan Godbole (Lurgan) with the Ulster Bank Man of the Match Award after today's Ulster Bank Challenge Cup 1st Round game between Lurgan and Holywood for his 64 not out and 3 wkts for 20 runs. 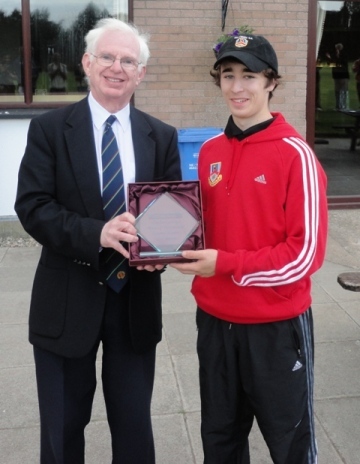 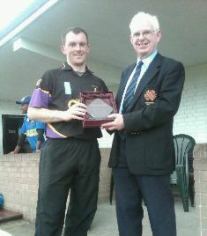 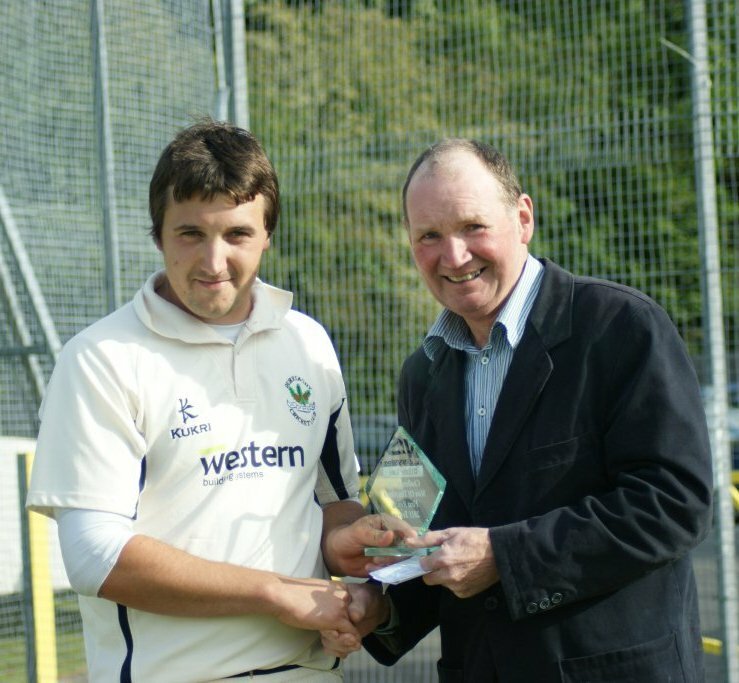 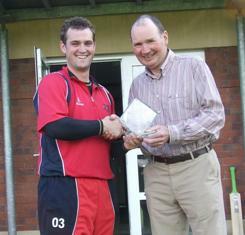 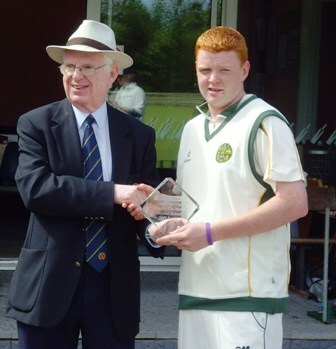 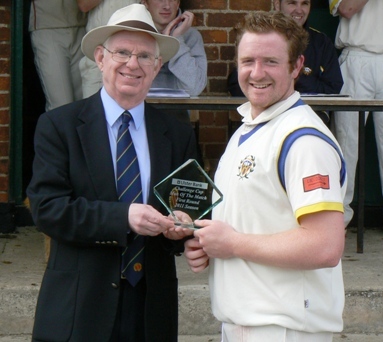 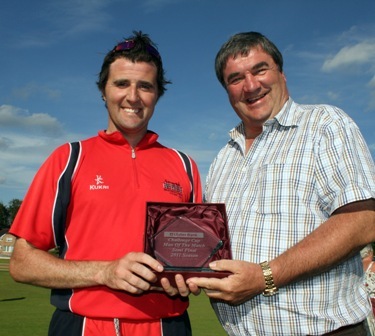 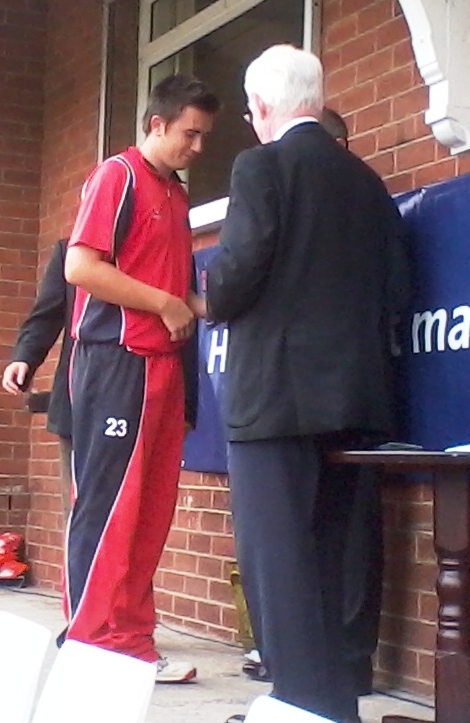 Stephen Bunting (Woodvale), who scored 45 in chasing an adjusted target of 77 receives the Ulster Bank Man of the Match Award from NCU President Dr Murray Power.